Family travel insurance could be next on the shopping list of those looking to invest in a holiday home abroad. And those searching for the ideal spot may be interested to learn that the Cape Verde property market is in a strong position. Sales executive at Cape Verde Property David Endersey said that it is currently a great time to invest in the property market in the area. He commented that the area "has all the advantages it has always had", such as good weather, beaches and "fantastic blue waters". "We are still confident about it being a great place to invest," he said. Cape Verde could be an ideal place for Brits to invest in as it is still relatively undeveloped, Mr Endersey noted. 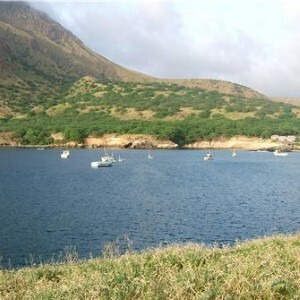 Sun-seekers could also find the area an ideal place to visit, as Mr Endersey claimed that it boasts the same weather as the Caribbean - but can be reached in much less time.